Here at E-safety Support, we are regularly contacted by our members who want to know a little more about a new app they are investigating for their school. Following our first review of ClassDojo, we received a number of comments from fellow teachers, which allowed others to make more informed decisions about whether to use it in their schools. Thank you all for your input. As our series on educational apps grows, our intention at E-safety Support is to provide a useful arena for teachers to share their comments, allowing others to evaluate the feedback and help them decide if the app is for them. GoBubble from eCadets is designed to put an end to unwanted friend requests, dubious content and the potential for cyber-bullying. It allows children to take advantage of the best bits of social media without any of the negative aspects. With GoBubble children can chat online with school friends, share jokes, pictures or videos and learn about different cultures by making new friends of the same age from around the world. What are your thoughts on GoBubble? If you are using GoBubble in your school, or have had experience of the app and would like to share your thoughts to help other E-safety Support members, please use the comments section below, or email tina@e-safetysupport.com. Are there apps you would like to discuss? 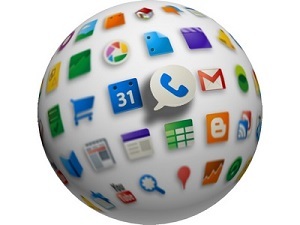 If you would like to ask about other apps that interest you, please let us know by emailing tina@e-safetysupport.com. Very often, these enquiries relate less to the features of the app, but more about how other schools are using them, how they are helping within the setting and what (if any) have been the snags. We know that you, our members, have a vast array of knowledge and 'on the ground' experience of a great many apps and hoped that you would share your experienced with fellow teachers. 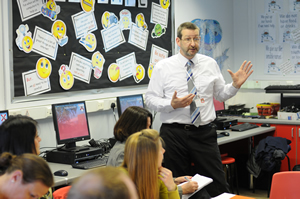 At E-safety Support our intention is to provide a useful arena for teachers to share their comments, allowing others to evaluate the feedback and help them decide if the app is for them. 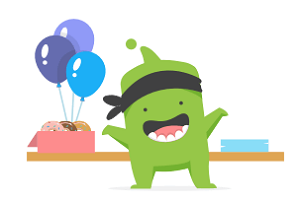 ClassDojo is a US based app which "connects teachers with students and parents to build amazing classroom communities"
ClassDojo is essentially a communication app which, in brief, allows schools to share photos, class work, videos, messages etc. The app is designed to provide a flexible way to share this information with the whole school community. We are considering starting to use the free App 'Class Dojo' as a method to contact parents. Are you aware of any issues with this and have you and advice on how our e-safety policy should change to take into account this new method of interaction with parents and carers? We contacted the makers of the app with this question. They replied confirming "We work really hard to make sure we are in full-compliance of all laws. We are also Privacy Shield certified for the EU". High View Primary School would highly recommend the app. "Classdojo is fantastic. Most teachers in our school use it and the kids love it. The children are in class groups and other groups eg. Higher level maths group. They collect a given amount of awards that translates into team points and ultimately class prizes." If you are using ClassDojo in your school, or have had experience of the app and would like to share your thoughts to help other E-safety Support members, please use the comments section below, or email tina@e-safetysupport.com. We will be featuring the new GoBubble app from eCadets in our next app review. Have you used it in your school? Have you found it useful, easy to use, beneficial? Or, are you considering using it but have questions of your own? Please let us know.